Finding quality free stock photography can be a cumbersome task. There are so many places to search, different pricing models to deal with and licensing. FreePhotos is a collection of creative commons stock photos that you can download and use in projects. The FreePhotos search engine pulls together some of the best, top-quality stock images available for use and modification. Images are top-quality and free to use thanks to creative commons licensing. The photo database is packed with images including landscapes, technology and business, nature, fantasy, people, and more. 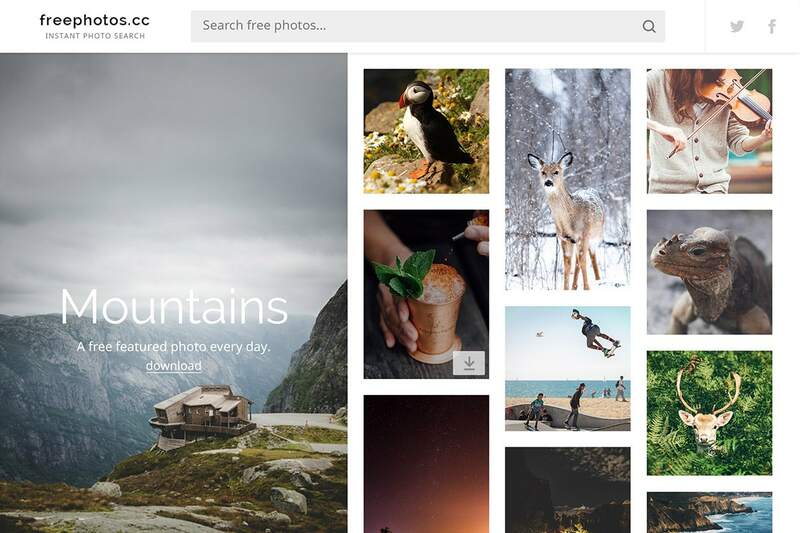 What makes FreePhotos different from other stock photography websites it that it aggregates photos using the APIs of multiple free stock image providers into one location. It makes it easier to preview and download photos from a single location so you aren’t hopping from site to site looking for options. FreePhotos does not take photos. It’s more of a search engine for stock images. The tool is designed to make your life easier with enhanced search features and featured photos each day to help spark your creativity. Just search for any topic in the search box – at the top of every page – and browse all the options available from various creative commons photo providers. Photos are available for use in digital and print projects. (Just make sure to check the resolution for the right fit.) Search, find a photo and download with one click. Then you are ready to use in any number of projects. The photos are free and so is the FreePhotos.cc website. FreePhotos is different from other providers you have used because it puts creative commons photos from a variety of services in one place. That means there are more results with the site’s intuitive search. But here’s the best feature: Results populate on a single screen. (Think Google Image Search.) As you scroll more photos keep populating. You can see all the options fairly clearly and in one place. The trick to using stock images successfully is quick search and download. You don’t want to waste a lot of time looking through photos when you have an idea of what you need. Smart searching can help you make the most of FreePhotos and speed up your workflow. Use multiple keyword search. Instead of “flower,” try summer flower for results that have a brighter more seasonal feel. Look for images that you can use multiple times. If there are two versions of a photo, one tightly cropped and another more full frame, opt for the full frame version so you can crop it yourself. You’ll get more mileage out of one photo that way. Avoid silly stock photos. People jumping up and down at work or unnatural settings are classic stock photo faux paus. Don’t fall into that mistake. 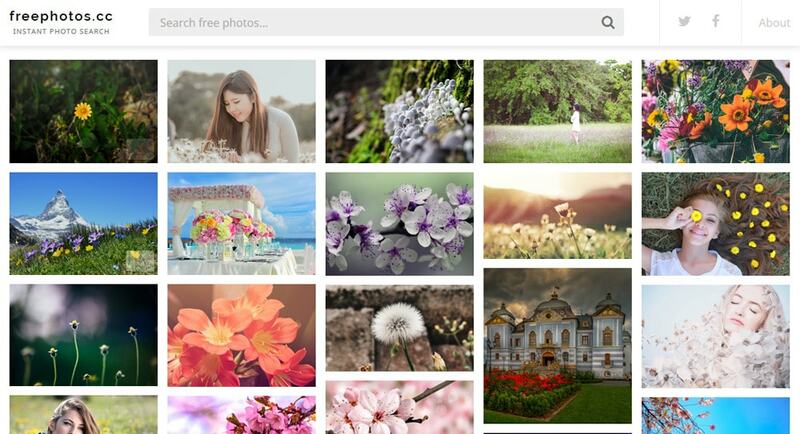 FreePhotos is available in eight languages to make it easy for anyone to find stock images. 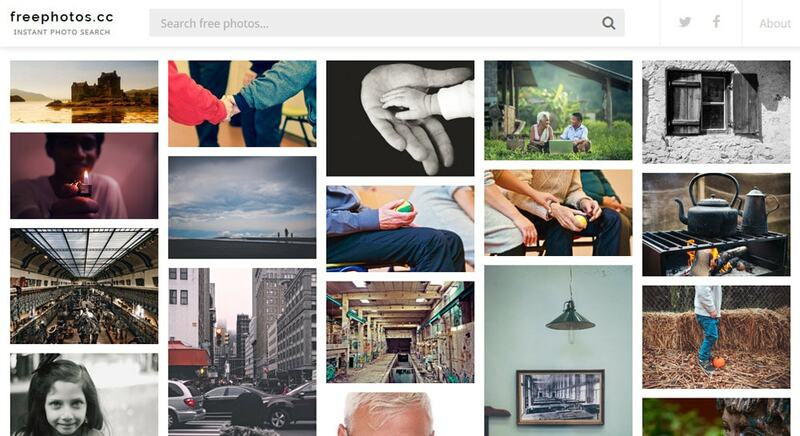 FreePhotos.cc is a great new way to explore and download great stock images. There’s no risk in trying it out. The photos are of great quality in composition and resolution. There’s plenty of variety to choose from. Test it out; you’ll probably find something to use in one of your projects.